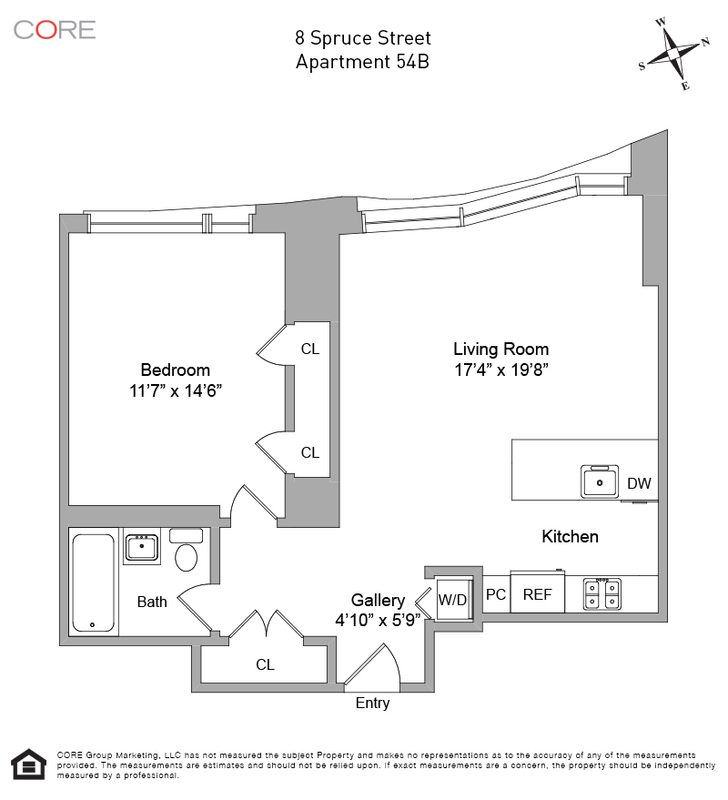 Six Month Furnished or Unfurnished Rental. Enjoy sweeping views of the Hudson River, the iconic Woolworth building and the Freedom Tower from the 54th floor of the New York by Gehry building. This stunning loft-like, one-bedroom, one-bathroom can be rented furnished or unfurnished at no additional expense from August 15th to February 29, 2016. The spacious west-facing bedroom offers double closets and terrific light throughout the day. Featuring premium stainless steel appliances and quartz countertops, the open kitchen offers a breakfast bar and custom cabinetry. 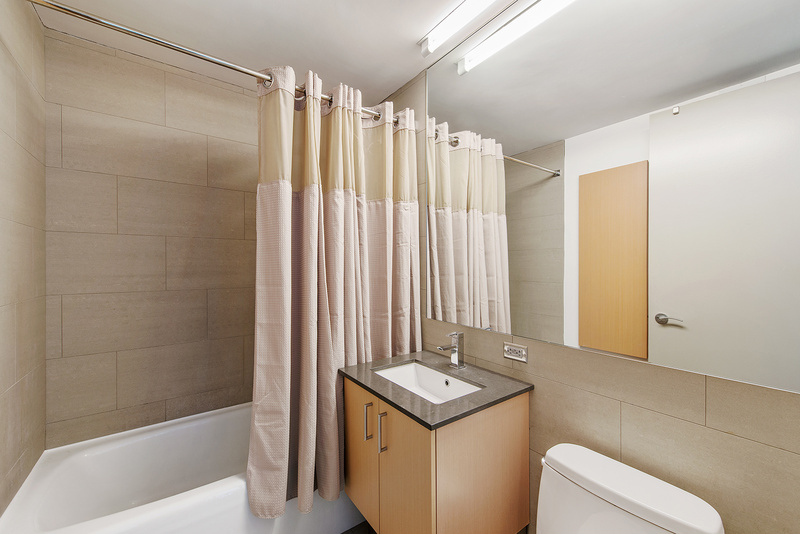 The bathroom is outfitted with chrome Moen fixtures, porcelain tile flooring and a custom vanity. Additional features of this unit include an open kitchen/living room layout, a washer/dryer and solar shades.